Are you looking for the best and the easiest way of how to get from Tokyo to Nikko Japan? In this post, you will find all that you need to know on how to get to Nikko from Tokyo! 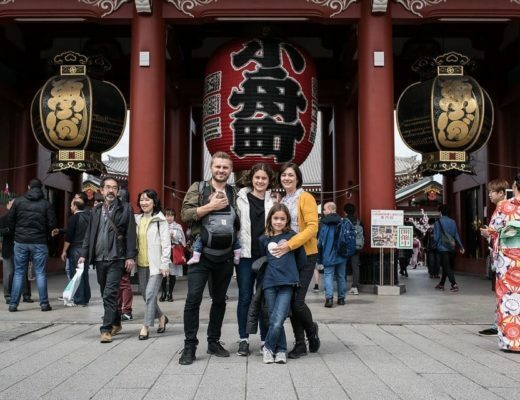 Majority of travelers that are visiting Japan venture out to all the usual hot spots of Japan, like Kyoto, Osaka and other big cities that are on everyone else’s lists. However, there are places like Nikko that simply cannot be missed! Tokyo stretches much further than your eyes can see! The city is immense and you will need at least 3 days here to get a small feel of what this city has to offer!! To make it easier to plan your days, we have decided to create a series of posts on Tokyo attractions, accommodation and day trips. Nikko is a city in Japan that is located in the western side of Tochigi. It prides itself on having amazing autumn leaves during fall and beautiful landscape like Kegon Falls. What to do in Nikko? It is common in Japan to find tourists who travel from Tokyo to Nikko, because Nikko is a UNESCO, World Heritage site. Among other tourist attraction like Nikko National Park, this amazing city is known for historical temples and shrines like Nikko Toshogu, which is Japan’s most beautifully decorated shrine. 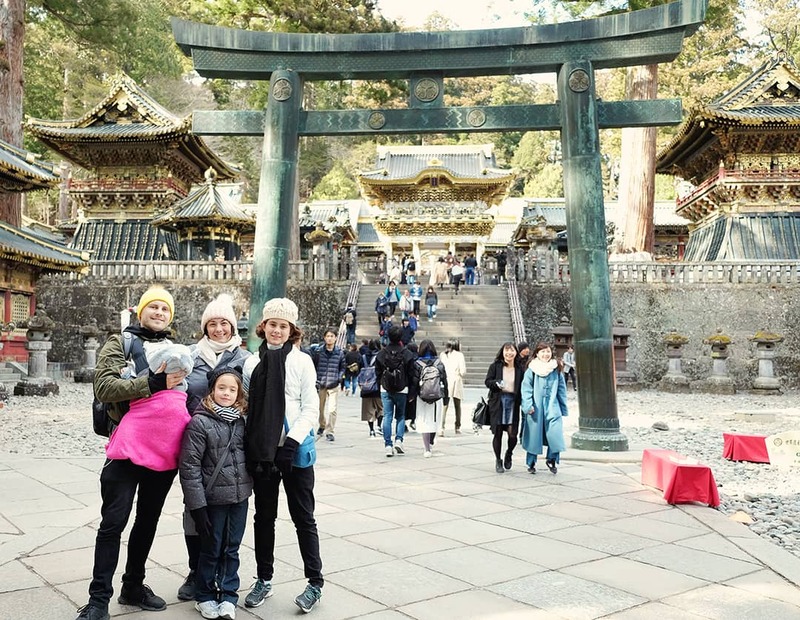 For tourists who want to experience the beauty that Nikko has to offer, the big question is whether to use public transport or a private car to travel to Nikko from Tokyo. If you own a car it might seem ideal to use it to travel from Tokyo to Nikko. However, it is expensive in terms of fuel to travelbyh your own car. How to get to Nikko from Tokyo? The ideal option is to travel using public transport. There are different public transport options that you can choose, including Tokyo Nikko train and or by bus. If you choose to travel by train from Tokyo to Nikko, it should take you approximately 2 hours. JR train to JR Nikko Station 1hr 40 mins Free with JR Pass 1 transfer Best choice if you are planning to explore Japan with a JR Pass. (Reservations Required) Direct Make sure to ride in the last 2 cars as the cars separate at an intermediate step. (includes return tickets, local bus tickets and 2 Day Nikko Pass) Direct Popular if you are staying in Asakusa District. Private Nikko Day Tour: Visit the famous Toshogu shrine and Futarasan shire for good luck in friendships and partnerships. Taste the local yuba or tofu milk (bean curd sheet) for lunch. On this day trip to Nikko, you will enjoy a tea or coffee in the temple precinct, which are made from sacred water (great for eyes and skin). Group Nikko Day Tours from Tokyo: A very popular tour! Enjoy a full-day trip to Nikko National Park from Tokyo. See the impressive wood carvings and ornate structures of Toshogu Shrine, a UNESCO World Heritage site. Enjoy a Japanese lunch, followed by a visit to the natural landmark of Kegon Waterfall. This tour offers hotel pick-up and drop-off at Shinjuku or Ginza stations. Click here to check prices. For most tourists visiting Japan, the best way to travel throughout the country is with a Japan Rail Pass. Pre-purchasing the tickets before you go on your trip, will save you an immense amount of money. This way, when you travel through Japan, all of the JR trains are free and you can hop-on-hop-off to no end and as many times as you please! You can use this pass to travel on the Tohoku Shinkansen from Tokyo to Utsunomiya to Nikko train station. When you use the JR train from Nikko, you can find four trains that depart from Shinjuku everyday. However, most of them require a train change before proceeding to Nikko. From Utsunomiya station, you can use the Nikko Line to reach Nikko station. Using this route should take you approximately 1.40hr. The trip will be ‘free’ if you own a JR Pass or would cost you a whopping 5780 yen without. If you are not sure if the JR Pass is for you, you can read more about it in our post Tips & Info on buying and using the Japan Rail Pass. The second route you can use to travel by train from Shinjuku to Nikko is to choose the Tokkyu Limited-Express train. This train is a direct train, however, a reservation is required. The train will take around 1.45hr and will cost you 2620 Yen one way. One of the fastest and most luxurious way to reach Nikko from Tokyo, is by using Tobu Line’s Limited Express owned and known as Spacia. This train is privately ves Tokyo every hour from Asakusa Station to Nikko. This train’s seats are usually reserved in advance before departure to Nikko, meaning you will have to purchase your ticket in advance. If you are travelling one way from Tokyo to Nikko using Tobu Line’s Limited Express, it will cost you 2720 yen and will take around 1.45hr. For English speaking tourists, this line has a hostess who speaks in English. Therefore, if you have any questions regarding your destination in Nikko, the hostess will be ready to give you answers. Nikko All Area Pass: Visit all the attractions including the world heritage site shires, Lake Chuzenji, Okunikko are and the Kinugawa Onsen as well. Nikko City Area Pass (formerly known as the 2 Day Nikko Pass): Nikko 2 day pass is a no rush pass and gives plenty of time for sightseeing at the UNESCO site and enjoy the hot springs as well. Theme Park & Nikko City Area Pass: Visit the world heritage site and the shires. Check out the famous theme park at the Kinugawa Onsen Area. Something here for everyone! The best way that we saved money on our public transport was by using Tokyo to Nikko JR pass. We purchased the 2 week pass for our whole family and saved thousands of dollars in the process!! If you are searching for Nikko Tokyo timetables, JR Nikko line timetable and other connections whilst you are travelling through Japan, our favourite tool is HyperDia. 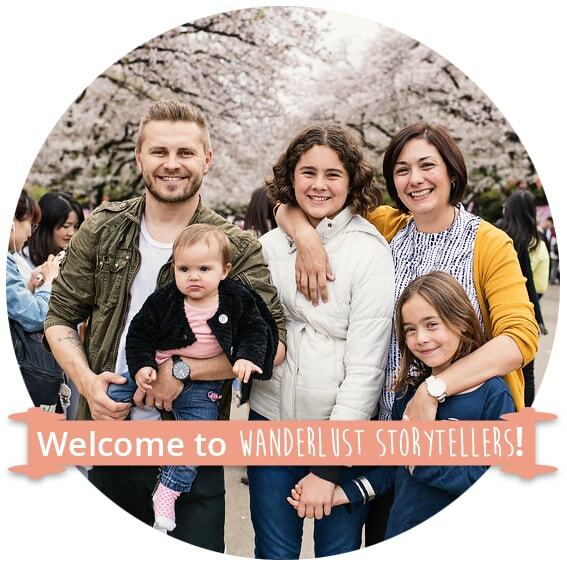 For more information about things to do in Nikko Japan and what are the best spots to put on your Nikko sightseeing list, subscribe to our blog. We love connecting with our readers through our social media on facebook , instagram and through YouTube. You can also leave a comment below and we will answer any questions that you might have! Have a great trip to Japan Nikko! 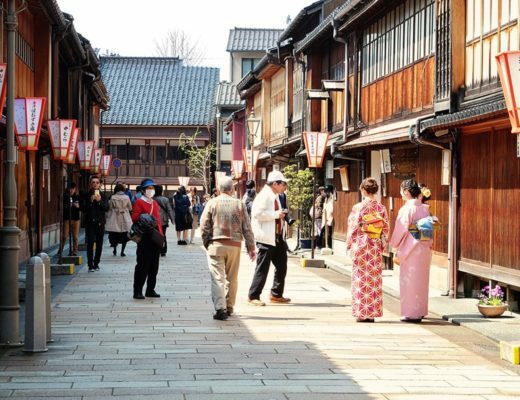 These Kanazawa Attractions will Take you Right Back into the Edo Period! 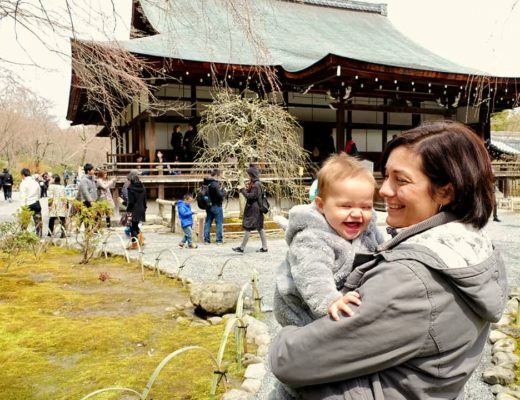 The Ultimate Japan Baby Travel Guide: Everything you need to Know! Thanks for this post. I am visiting Japan in a couple of months and am constantly encountering advice on the internet that I need to reserve train tickets in advance but not seeing any information on how to do that. 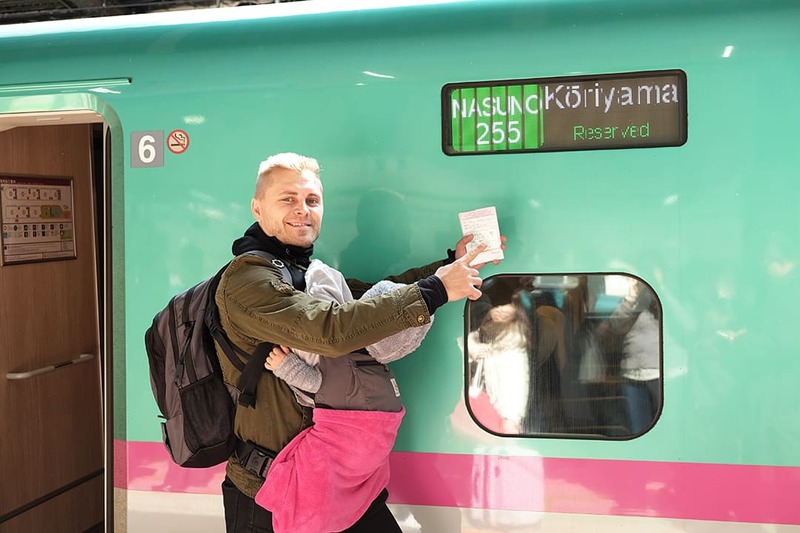 How does a person reserve a seat on a Japanese train from overseas? By way of comment, I have been living in China on a posting and their rail network is far easier to negotiate than the confusing Japanese system. Hi Colin, we did reserve seats in Japan, not whilst overseas. Sometimes we couldn’t find a seat and either had to wait a few hours for another train or just simply stand in the train. 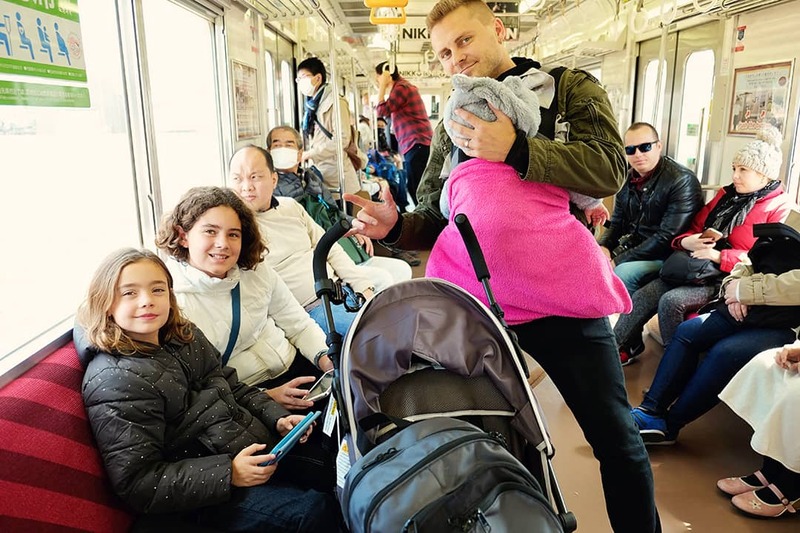 If you are a solo traveller, you probably won’t have any issues finding a seat, but as a family of 5 it was a bit more challenging to find seats together. Lovely family and sound an amazing trip! We are planning a day trip to Nikko in November. I have a question regarding travelling to the place. I plan to purchase the Nikko all area pass. I understand that this pass includes round trip to Asakusa. Do you know if the round trip is in Spacia? I am very confused on how to go about booking the tickets in Limited express (Spacia) because at the time of purchasing the pass, it charges additional for Spacia tickets. Hi, yes the trains are very confusing. I believe you need to purchase the All Area Pass plus Limited Express Tickets and then you can reserve your seats at the actual TOBU Tourist Information Center in Asakusa.